Reverend Walter J. Lanier, M.DIV, JD has just finished celebrating his sixth year as the pastor of Progressive Baptist Church of Milwaukee, Wisconsin. He is the second pastor in the church’s 30 year history. Prior to his call to Progressive, both he and first lady, Minister Nichole Lanier, served as associate ministers at Calvary Baptist Church of Milwaukee, Wisconsin. The Lanier’s have been happily married for over 20 years and they are the proud parents of two daughters, Zaire and Asante, and one son Askari. 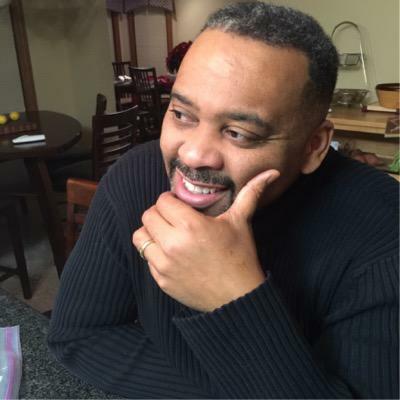 A 1995 graduate of the University of Michigan law school, Pastor Lanier maintained his own business law practice for over a decade prior to joining MATC. In 2005, he began the Great Lakes Urban Empowerment Center which focuses on building a network and proposing solutions for urban cities in the Great Lakes area. Pastor Lanier was also a lecturer in the University of Wisconsin-Milwaukee Department of Africology in the areas of race and constitutional law. He has served on numerous boards and is deeply committed to being a part of Milwaukee reaching its fullest potential . . .
As of late, I have described myself this way . . . Although, I am certainly able to engage in a good debate, I prefer a rigorous discussion . . . a mutual exchange of ideas. I am at my best when helping others. Hi there! I wanted to thank you for following our blog! It made our day! We’re happy to someone so close buy connected with us online. We’re happy to follow back. Keep up the good work pastor! Continue being the Blessed Shepard for Progressive Missionary Baptist Church and outside the 4 Walls that houses it! Thank you. Let’s us never grow weary in well doing! God’s richest blessings upon your ministry to family, church and community. God bless you and your ministry as well. Thank you Laura. I do not recall where I go that image. I believe I pulled it from an internet search several years ago. I have no ownership in it.